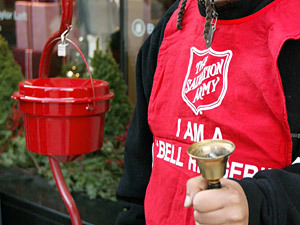 Did you know that on December 14th, 2007, in Exton, Pennsylvania a US army vet gave $10,000 to a Salvation Army bell ringer in appreciation for the coffee and donuts he had been given during World War II. Random acts of kindness like this, can help to change the world even if it is only a few people's worlds at a time, every bit helps. This holiday season think about doing some kind of random act of kindness. Everyone could use a little holiday cheer! In"Random Acts of Kindness", "Salvation Army", "coffee", "vienna coffee company"